By Fred Eichelman Ed. D.
A popular pastime in January is to come up with a list of top tens for the preceding year. This may be anything from athletes and politicians to songs and movies. It is the listing of films that especially interests me because of my involvement with Point North † Outreach, a Christian media organization. Film lists, including the excellent one Politichicks recently presented, are based upon films that the public has had access to through theaters. While very understandable, it eliminates a large number of films that are independently produced, especially those with faith based stories. Producers of independent Christian films have two major concerns, money and distribution. There are a number of films worthy of theatrical release, however they have to go directly to DVD so investors can get their money back. Too often the best a faith film can hope for is a limited theatrical release and the support of churches. When I mentioned this to Politichicks I was invited to give a list of what for me were the top faith films in 2015. This is strictly personal opinion and does not reflect the views of Point North † Outreach or its publication Point North † Tidings. It is not easy as I admit there are many I have missed and some that came out in 2015 are listed by IMBd as 2014 productions. The difference is largely due to when the film gains mass distribution which could be as much as a year from the time of release. The following list of my favorite ten is not in order of preference. 1. Stand Your Ground. The true story of Jackie Carpenter, a native Georgian whose son enforced the Georgian law, “Stand Your Ground,” which permits you to use fire arms to defend your property. Jackie’s son is arrested and in court charged with racism. The support of Jackie’s church is very key and the trial itself one of the best I have ever seen on film. Jackie’s role is well played by Francine Locke who could be compared to a modern day Susan Hayward. 2. Love Covers All. Michael, a Bible carrying believer appears to have the world on a string. He is successful and his wife is about to have a baby. He then gets the sudden news that he has lost his job and it all comes tumbling down. He runs away and then has second thoughts and tries to return. Car trouble makes him stop in a late hour at an old gas station three hours away from his wife who is in labor. One of the best acting jobs of the year is by Rusty Whitener who portrays Bob the station owner, a preacher’s son, who no longer believes. He challenges Michael and the dialogue is riveting. 3. Princess Cut. This is a Christian romance that outshines most of what you see on Lifetime and Hallmark today. The theme is true love is worth the wait. Grace Anderson has been raised by Christian parents who stand by her when she has heartbreak after heartbreak because she has high standards. She has to make choices and her faith in God sees her through difficult times to final victory. Jenn Gotzon shines as Brooke, one of those people who is an obstacle to Grace finding true love. This is a film that all young singles should see. 4. Fragile World. Rosalie lives in both a real and an illusionary world as film maker Sandy Boikian weaves a tale that reminds one of Hitchcock and the Bruce Willis film Sixth Sense. Rosalie, played by Alexa Jannson, has a history of delusions and falls in love with a handsome stranger. You will be kept guessing about what is real and what is fantasy. The film successfully explores mental illness and God’s love. Sandy did a great deal of research in the making of this film. It is one that you have to see twice to truly appreciate. of limited premieres with great success. The story involves two people over a period of forty years, Rachel and Mitchell. They seem destined for each other as children and then fate separates them until high school. Just when you think they will finally get together there are circumstances that separates them again until many years later. One thing that distinguishes this feature film is that it is silent with only well placed music. However, the acting is so vivid you will feel that you are hearing every word. The cinematography is breath taking. 6. Seven Deadly Words. This story comes from Doc Benson, a pastor and a film maker and is based upon true events. One may think of an Agatha Christie thriller in this tale about a new young minister, Evan, who comes to take over an old established church in West Virginia. He finds that the church is in deep financial trouble and greatly divided. We are told in scripture that the tongue can be a two edged sword and just as many churches have been destroyed by false rumors there is plenty of that here plus an attempted murder. Roy Lyman, who plays the pastor, also has to deal with a wife whose own faith is severely tested. This is a film especially is one every church member must see. 7. Christmas for a Dollar. Though Christmas films seem a dime a dozen and this one was first produced two years ago, it especially made the rounds of independent theaters in 2015 and has been on television. It is the story of a Utah family during the Great Depression that some have said it is “like the Waltons on steroids.” There is a Western flavor as the plotting involves a horse, a crippled child named Norman and a woman named Mrs. Rathbone, played by Nancy Stafford, whose redemption is excellently portrayed. This writer admits that this film has become one of his favorite Christmas stories. I have spent more time on the first seven films than I will on the next three as sadly there has not been a great deal of publicity about them. The next three have received some circulation and more likely have been talked about in churches and seen by readers. 8. War Room. 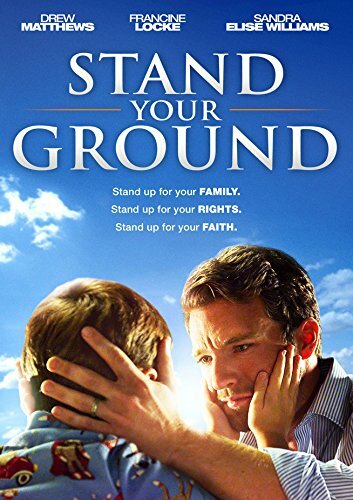 This is a movie about prayer released by the folks responsible for Facing the Giants, Fireproof and Courageous. It involves a family at the breaking point and the power of prayer. 9. 90 Minutes in Heaven. This is based on a book by Dan Piper, the story of the author being in a car crash that causes him to be dead for a period of time during which he goes to Heaven. Many will debate the scriptural possibility as well as the impossibility, however like Heaven is for Real, it does promote discussion. 10. Woodlawn. This is a film based on a school divided by racism and hate in the 1970s. It is story about Christian love that brings unity to the school and the school’s football team. Though taking place in the past, it is a lesson very much needed today. I freely admit that once this is published I will think of a number of other films I should have covered. A great deal of talent is out there among Christian film makers and stars who prefer to only be involved with faith and family films. Despite their having at least as much and often more talent than mainstream film makers and stars, they do not get the recognition they deserve. The mission of my ministry is to get the word out. Fred Eichelman is a retired teacher and on the board of Point North † Outreach, a Christian media organization. He is also the editor of its publication. Dr. Fred has worked with films both in his teaching and his Bible Study groups and is the author of three textbooks and a novel. This Spring he has a book coming out title. Faith, Family, Films: A Teacher's Trek. Yes, he admits he is a Trekkie and for years used a program he created titled The Gospel According To Star Trek which he used in schools, churches and conventions. Michael Finch: Where Has America’s Fight Gone?